The city of Jacksonville is always packed with people. Visitors come from far and wide to take part in its many festivals, music, art galleries, and sporting events. In fact, Jacksonville has the distinction as the most populous city in the southeastern U.S., and it’s been going through major renovation and restructuring projects for the past 10 years. Jacksonville has a poverty rate of about 17.0%, which is only slightly higher than Florida’s rate of 16.1%. Its unemployment rate is 3.8%, also pretty much on par with the state. Unfortunately, people who live in Jacksonville may be challenged financially as a result of various debts and credit card bills. Jacksonville residents carry, on average, credit card balances of about $4,645, non-mortgage debts of $36,399, and mortgage debts of $129,837. These numbers indicate that Jacksonville residents may struggle when it comes to paying off their bills and having enough money to cover their expenses. 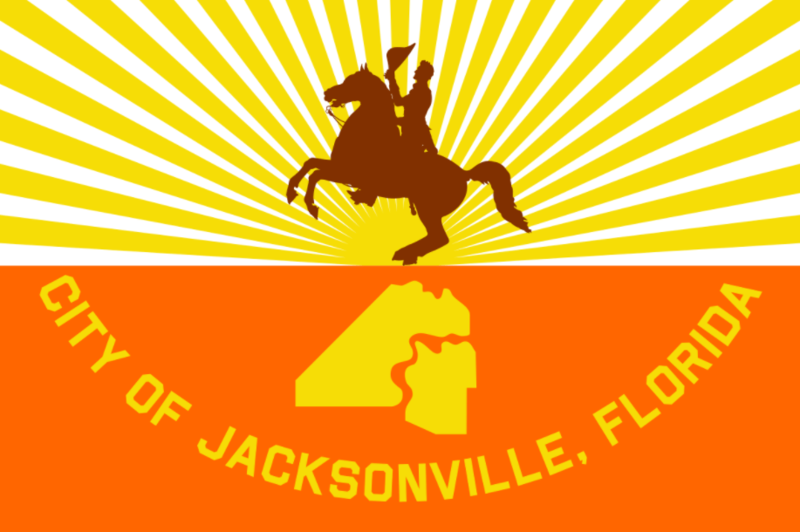 2016 Credit and Debt Statistics: Jacksonville, FL vs. the U.S. Predatory lending refers to any type of loan process that involves unfair, deceptive, and/or fraudulent practices, which ultimately (and often) put borrowers in negative financial situations that are hard to get out of. Unfortunately, people living in Jacksonville who are having a hard time paying their bills may mistakenly believe that predatory lending offers the relief that they’re looking for. However, borrowing from a predatory or subprime lender frequently has quite the opposite result: borrowers may find themselves trapped in a cycle of debt that can last months or even years. You may have heard of payday loans before. They’re an example of a predatory lending practice that has caused many financial hardships for borrowers. Payday loans may seem like a quick and easy way for people with bad or no credit get some much-needed cash, but they’re risky – potential payday borrowers should know all of the facts before proceeding. In order to take out a payday loan, borrowers must be employed and are required to use future paychecks as collateral for the loan. Payday loans are associated with extremely high interest rates and high fees, both of which are regulated by the state. The loans are often due within a short period of time, and the interest rates and fees, on top of the loan amount itself, are often impossible for borrowers to pay back. This frequently results in even more loans acquired by the borrower, and an intense cycle of non-payment and debt begins. Why Should You Avoid Payday Lenders in Jacksonville? Payday loans may seem like a great way to pay your bills and get out of debt, but borrowers often experience just the opposite when they take out a payday loan. The outrageous APR rates and fees often make it impossible for borrowers to repay their loans, and lenders then extend the original loan and charge even more fees. It’s best to stay away from these often devastating types of loans and to find more effective ways to borrow money and get a handle on your finances. Finding money to pay off bills and to cover regular expenses can be a source of frustration, and there may be times when the average American finds themselves unable to do so. It’s during these times that payday loans may seem most attractive. While Florida’s 1.85% increase in the hourly minimum wage to $8.25 in 2018 (higher than about 23 other states), may help people working in Jacksonville see some positive impact on their pocketbooks, that still may not be enough to cover a person’s overall annual expenses. Jacksonville residents spend an average of $57,235 a year on household expenses. This includes almost $18,000 for housing, more than $4,000 for healthcare, and more than $7,000 for food (dining out + food consumed at home). With expenses like these, many Jacksonville residents may feel the need to turn to predatory lenders order to make ends meet. However, there are resources in Jacksonville that can help reduce residents’ expenses and improve their financial situations – without having to turn to predatory lending. Healthcare across the U.S. is expensive, and as a result, many people without adequate insurance can find themselves saddled with serious debt and long-term expenses. Residents of the state of Florida and Duval county in particular understand this all too well. According to 2014 figures, the Florida spends just over $8,000 per capita annually on healthcare. Additionally, Florida is one of 19 states that have not expanded Medicaid, which has left nearly a million people in the state without insurance. As of 2016, 11% of Duval County was uninsured, and about 32% of adults in Duval Country have past due medical debt that has gone to collections, on average $674 per person. The good news is that there are a number of resources in Jacksonville that can help Jacksonville residents find access to affordable healthcare. Florida has more than 100 free and low-cost clinics that help provide healthcare services at little or no cost to low-income, uninsured, and underserved individuals, which is more than any other state in the country. The Florida Association of Free and Charitable Clinics (FAFCC) is a non-profit organization that supports many of these clinics, and comprehensive list of the clinics in their network can be found on their site. If food insecurity is an issue that you or your family members are experiencing, there are resources in Jacksonville to help. Food banks, soup kitchens, and other non-profit organizations can provide food and other types of assistance, including counseling, access to clothing, healthcare services, lodging, and more. If they can’t help with your particular needs, be sure to ask them if they might connect you with other programs that might be better suited to assist you. Check out Feeding Northeast Florida to see a long list of food banks in Duval County. Housing costs are often the most burdensome expenses that people have. A majority of people living in Jacksonville have a mortgage to pay off which, on average, costs about $1,313 per month. Those who rent in Jacksonville typically pay about $955 per month. These expenses leave many Jacksonville residents (who make, on average, $51,298 per year) struggling to make their payments every month. Ability Housing of Northeast Florida: Provides affordable supportive housing to those in need. Jacksonville Emergency Financial Assistance Program: Provides temporary assistance to prevent eviction for non-payment of rent or mortgages.